1800 659 429 Call us today! Standby Electrical Services have been providing honest, reliable, prompt and hard working service to your local area for over 40 years. Standby Electrical Services have been providing excellent electrical service and installations to customers homes and workplaces for over 40 years. Customer focus and satisfaction are why we continually get customers calling us. For over 40 years Standby Electrical Services have focused on YOU the customer and what YOU need to complete your electrical installation or repairs. As a Standby customer, you will receive an unmatched level of service that will be tailored to your exact requirements. We will come to your home, office or workplace and provide you with the best service that will get your electrical installation or repairs completed. We guarantee all our workmanship. We recently needed an electrician and found Standby Electrical after looking for a local business online. There were a number of things we wanted checked to ensure they were safe and also quotes to replace all the down lights with LEDs. Mal was great, he explained everything thoroughly and also made additional suggestions. He had a sample LED so we could see what it looked like and get an idea of the brightness. We immediately felt confident that he would do great job so we booked in to get all the works done. We now feel confident the house is safe, the fuse box has been updated and safely switches upgraded, sensor lights now working and the difference with the LEDs is just fantastic. I would thoroughly recommend Standby Electrical. The principal Malcom Kendrick went above and beyond to get extra power into my house. Malcolm and his team were professional throughout the whole process and kept me informed with everything that was happening. I had chosen Standby Electrical Services after googling for electricians and I am so glad I did. I don't know how I would have had the job done so seemlessly. Totally happy and the biggest recommendation. Thanks Malcolm. Good honest reliable electrician who carried out the work efficiently and true to quoted price. Can highly recommend. Would highly recommend Standby Electrical Services. Malcom was extremely thorough, professional, honest and reliable. Malcom arrived very promptly and is very affordable. Mal was incredibly efficient and installed a replacement wall oven, fans, lights and updated my fuse box as well as identified issues I was having with my utility costs. He gave me great info on where to source needed parts for other home fittings I am repairing. Imagine my surprise and delight once he repaired and connected a new switchboard that an internal cooling system sprang to life which had been dead since I moved into the house in 2002. I have Mal’s card and not going to lose it! 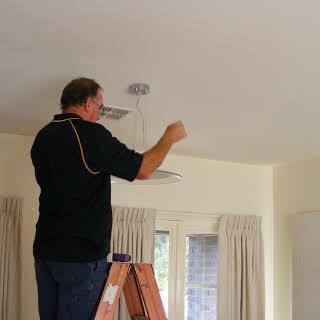 We recently had the pleasure of having Mal from Standby Electrical Services carry out some works at our home. I have been searching for a tradesman like Mal for a long time. Someone who is professional, knowledgeable, and reliable. Someone who listens to what you want done, offers suggestions and options and then works with you to find the best solution. Mal is gentleman who was very easy to worth with. We have an older home and have engaged many tradesmen over the last 30 years for various works and I would have to say that Mal has been a standout. I would have no hesitation in recommending Mal and his business to anyone needing a great Electrician. Mal has been our electrician since we started our small business 2 years ago. He has done a variety of jobs, some being extremely complicated. Mal's knowledge, efficiency & professionalism have always been outstanding. He is the real deal, the kind of electrician that you can count on for impeccable service & very reasonable rates. He is always very up-front & there's never any hidden charges or unnecessary work. On a personal note, he's a super friendly guy & always has a joke or 2 up his sleeve. Standby Electrical Services is a fully licensed and qualified family owned and operated electrical business with more than 40 years of business experience. 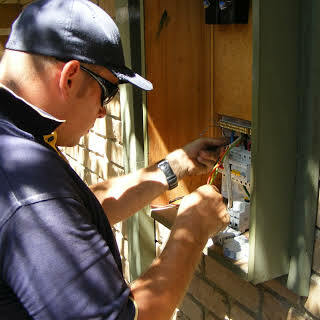 Located in the north and north east area of Melbourne, we offer an extensive range of electrical services for the home, office or industrial sector. We provide our customers with hard working, honest and reliable service at an affordable price. With over 40 years experience Standby Electrical Services know that when you need an electrician, you need someone that is reliable, trustworthy and will get the job completed quickly and provide you with the highest quality workmanship at an affordable price. Feel free to get in touch with us via phone or by using the contact form below. One of our friendly team members will be happy to assist you.